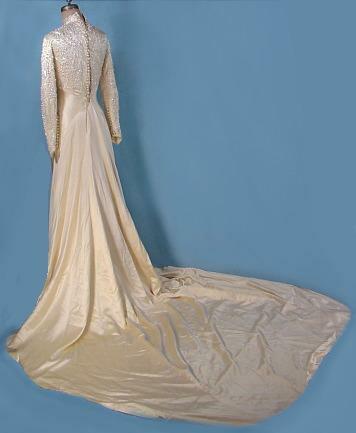 #3960 - c. 1930's Style NOLAN MILLER COUTURE - One of a Kind - Candlewhite Satin and Beaded Wedding Gown! 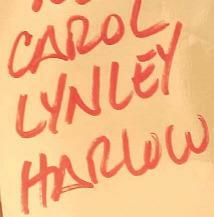 Worn by CAROL LYNLEY in "Harlow"! 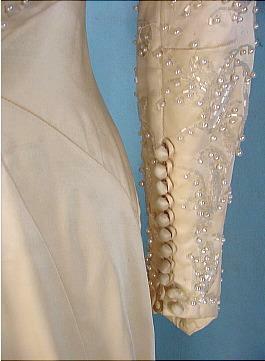 So you want a truly special wedding gown, one that is a truly one-of-a-kind? 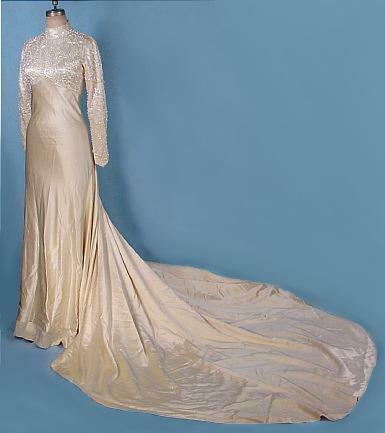 You can go to a couture house and order one up for $20,000+, or you can purchase this "to die for" candlewhite heavy satin gown in the 1930's style (with all the correct seaming) designed by Nolan Miller for the 1983 movie, "Harlow" starring Carol Lynley. 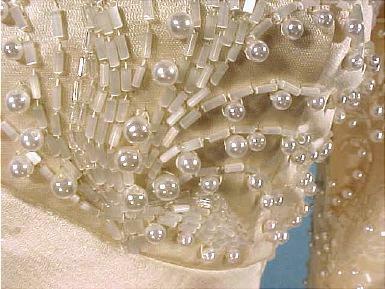 The entire mock turtlenecked bodice and long pointed sleeves are covered in white iridescent beads. 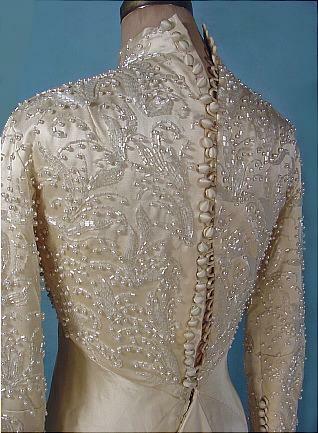 There are 11 buttons on each tight sleeve and 31 buttons down back. I confess I didn't button them all, but they are all there and fine.. I was just lazy! 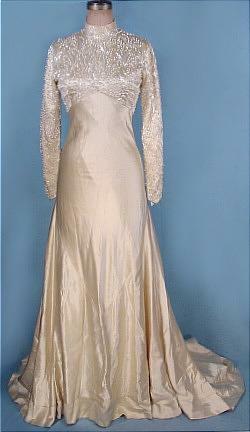 You will have to get yourself a very patient Maid of Honor to help you dress! 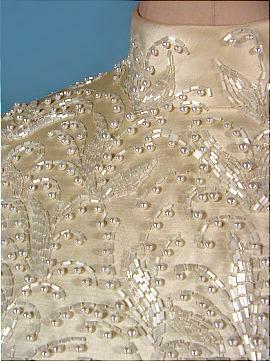 Under bodice is a high pointed empire waistline which accentuates the bust. Very long train at back. 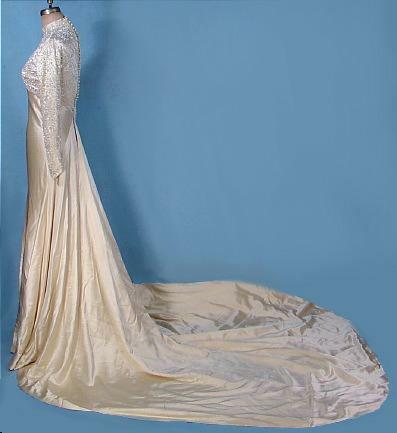 Hollywood glamour with simplicity of 30's style! 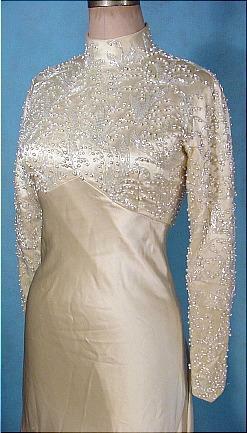 Measures: 34" bust, 24/25" waist, bias hips, 63" long from shoulder to hem in front, 109" long in back. 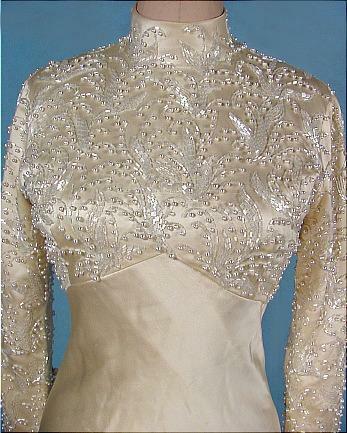 Near Excellent condition with minor "satin bruising" at waist (where the wedding bouquet might have brushed). 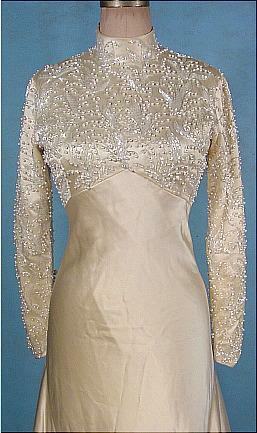 Very heavy gown. Timeless appeal! Comes with a signed Certificate of Authenticity (COA) directly from Mr. Miller.